"Free" was the theme for February! Let's take a look back at the five most up-voted deal threads from February 2017. We thought it was odd that Amazon would offer an $8.62 discount to celebrate their #1 Corporate Reputation Ranking in the 2017 Harris Poll, but a discount is a discount, and many slickdealers took advantage by buying a $50 gift card to their favorite store. It's like getting free money! Apple iTunes, Amazon, and Vudu offered the first season of the hit BBC series as a free high-definition download. This was a great way to sample the show before you pre-ordered the Ultra HD, 4k Blu-Ray version. Who says the finer things in life can't be free? This was an epic find for both casual music fans and audiophiles as TIDAL offers lossless music streaming. Translation: it sounds really good! It's baaaaaaaack! We were surprised to see this popular front page deal return so soon after the holidays, but no complaints here! There are plenty of cool entertainment and tech products hovering around the $100 price point, making this an instant 25% off discount. Find out what types of discounts you should be looking for in March with our monthly shopping guide. 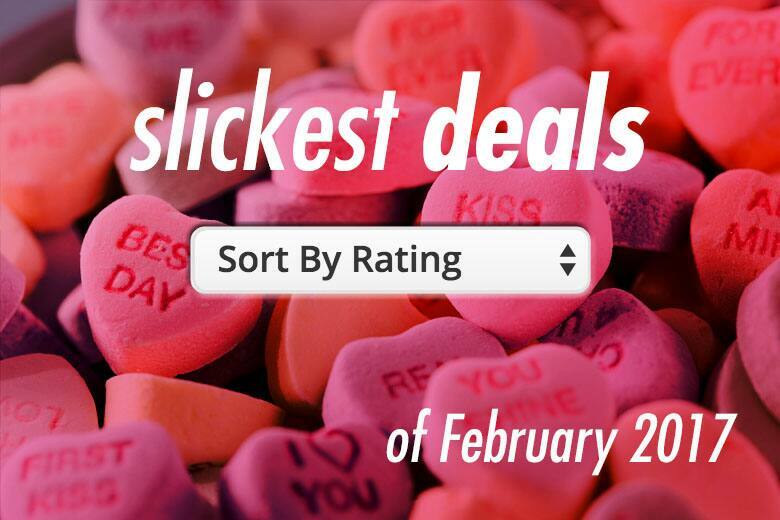 Don't forget to set a Deal Alert to be instantly notified of deals that match your interests!